Developer Michael McNamara asked DMOD to design their submission to Monaghan County Council for the development of this site in Monaghan Town. 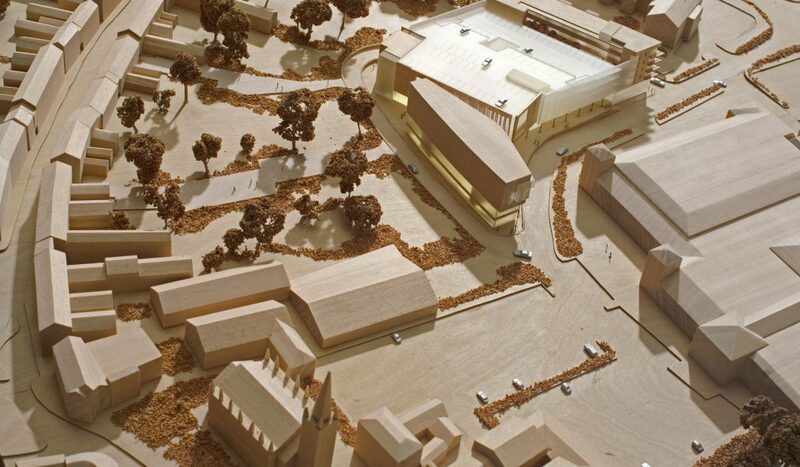 The brief called for a mixed development including retail, civic offices, a public theatre and sufficient car parking to satisfy the development plan for the area. The DMOD scheme creates a new street through the site to follow the natural movement of pedestrians with civic facilities on one side and deep plan retail at the other. The theatre is suspended at first floor level and a multi storey carpark is screened by a louvered glass wall. To further enhance the viability of the development a residential block was included to the south of the site.